Coast, Town or Country: Which location is best for you? Location Location Location is a famous mantra for a reason. You can change elements of a property but you can’t change where it is situated. As an investment holiday destination, you must be sure that you intend to commit to this place for holidays in the years to come. You’ve narrowed it down to the stunning island of Menorca, and we can see why! 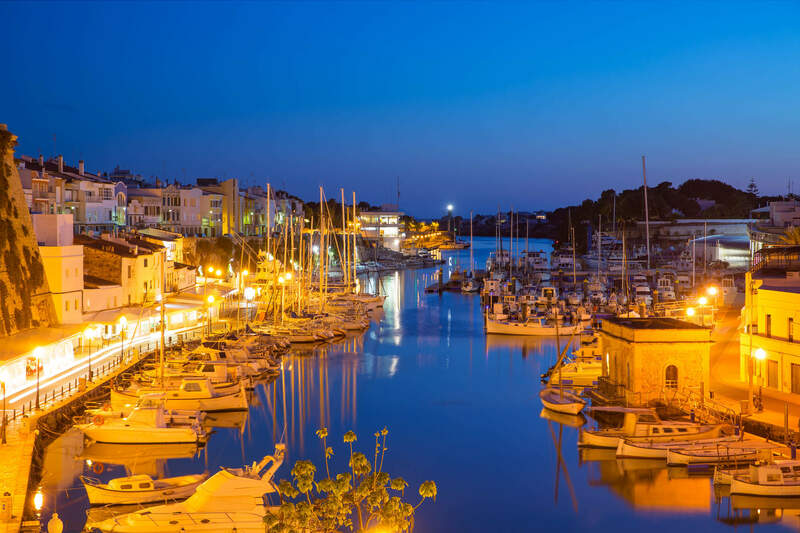 With picturesque scenery, towns dripping in history and peaceful beaches that unwind your soul, Menorca is the kind of place that you can enjoy on repeat. The next step is to identify your perfect location still further. We don’t mean that you have to visit every town and resort on Menorca of course, but simply to discern what type of area is right for you. Should you look at a coastal, town or country property? With our years of experience as an estate agent in Menorca, we believe this is key to finding your perfect property. Is the sea air a vital part of your holiday? Do you yearn for watersport action or fine sand between your toes? Menorca’s beaches are famously beautiful, so seeking a coastal property is a popular path. If you’re taking children into account, look for shallow, gently sloping beaches such as the Easterly Es Grau, or to the South, Cala en Porter. If you want to avoid the wilder coastal winds, make sure you avoid the Northernmost parts of the island. For some, though, this wildness is appealing and will certainly offer you a space that is off the beaten path and a haven of peace. For active coastal types, the larger coastal towns of Mahon and Ciutadella are right for you, offering countless opportunities both for watersports and inland activities such as bike hire or karting. As well as being great coastal spots, the island’s cities of Mahon and Ciutadella offer a balance of buzzing town to their coastal freedom. For those who wish to avoid the beachside holidaymakers, look towards harbour towns or inland locations. Es Castell boasts the beautiful scenery of a traditional town with stunning harbour views, shops and eateries. The harbour location is perfect for those who love to dine out with many of the old caves being utilised by bars and restaurant businesses into social and dining spaces. Maybe you want to avoid the coast altogether. Sant Climent is located in between Mahon and Cala en Porter and is fully inland. Offering wonderful traditional shopping and eating experiences, for foodies it is the perfect spot. Another inland location, Sant Lluis offers a good mix of little shops and cafes. For those seeking a retreat seeped in culture and history whilst still retaining some level of quiet, this town is ideal. Because of the size of Menorca, you will never be too far from a town. Some locations, however, require the use of a car in order to get to shops and restaurants, and it is these places that will give you a real countryside atmosphere. Suburban areas such as Sant Tomeu, Alcuafar Vell, Biniai and Trepuco are outside the flow of regular holidaymakers whilst still allowing access to town conveniences. For those who seek a sanctuary, country locations are ideal. With a private pool and space galore, you can enjoy the landscape without the stress of social interaction or bustling crowds! The key thing to remember about Menorca is that it’s not a big place. It is possible to drive from one end of the island to the other in less than an hour. You are rarely more than a fifteen-minute drive from the coast. So there are towns, countryside locations and beachside spots that enjoy the benefits of more than one type of location. This is what makes Menorca the perfect place for those who want the best of all worlds!